I would think that anybody who has never heard of Quark Henares or Mich Dulce, Wincy Ong, Nix Puno or Bogs Jugo must have been hiding under a rock. A sizable chunk of our relevant population would know that none of the five mentioned are strangers to the music / entertainment industry. It’s fun to think of how they came together as Us-2 Evil-0 (I’d leave that for the band to address), but what could be more fun is to watch what they can do together as musicians. I remember driving to work one morning some months ago, and for the first time in a really, really long time, felt compelled to open the radio. After a slew of advertisements that I thought was all that ever took up airtime, some song finally came on: drum beats. Then a male voice that, by the way it sounded, appeared to be singing, but not quite. I would have mindlessly switched stations already if not for the fine female voice that shortly came on singing about some mighty heart attack in what was the catchiest chorus I have heard in too long. Being such a big fan of boy/girl duos, I decided not to switch stations. The chorus got stuck in my head. Not at all bad. Then the DJ came on and said something like, “… that was Us-2 Evil-0 with ‘This Mighty Heart Attack’…” Now THAT was a surprise. Of course I already knew then who Us-2 Evil-0 was… I just didn’t think that the song was theirs. “It’s local!” I thought excitedly. It just got better. Finally, something different. Not anymore to my surprise, ‘This Mighty Heart Attack’ entered the Jam 88.3 countdown some time ago. So I got curious. To feed my curiosity, I tried searching for Us-2 Evil-0 on every other networking site that I knew, but ended up not finding much—no lyrics, no blogs, no mp3’s—just random and separate stuff about the band members as individuals. I therefore concluded that this young band was still quite obscure and that, I think, is a nice thing. I find it a wonder how their individual popularity faces off with their collective mystery. I was successful in finding their Facebook page where fans have so far, posted nothing but words of encouragement—a positive sign that the band is doing something right. To ignore the facts and act so fast? To contain this mighty heart attack? Quite obviously, ‘This Mighty Heart Attack’ is but a taste of what Us-2 Evil-0 can give the music–loving public. If you like their music, you’ll love them live. With Mich and Quark’s choreography, who wouldn’t? 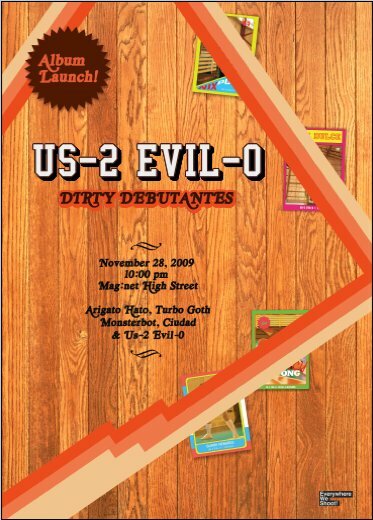 November 28, Saturday, 10:00 pm at Magnet Bonifacio High Street marks the release of their debut album called “Dirty Debutantes.” Sharing the limelight with Us-2 Evil-0 on the night are Arigato, Hato!, Turbo Goth, Monsterbot and Ciudad. me and me friend really love this song.. so cutie and catchy.. very cool! i always played it in my laptop.. just realized that this song is played in Greenwich commercial lately with Anne Curtis i think..lav it! hmm.. 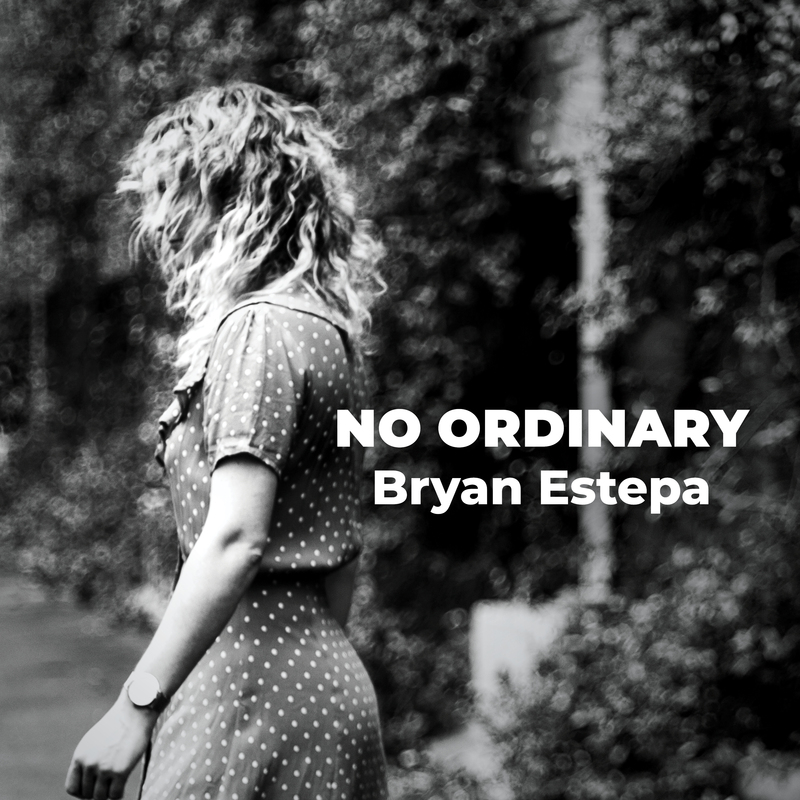 I think the lyrics lacks the female verses..
i love local bands, xempre noypi however madugo minsan pag masa n ang song, its not that i critic much “masa music” pro iba kasi ang timpla pag classy yung song, not to mention catchy din sa ears.